It doesn’t take long for the excitement of summer vacation to give way to boredom. Soon enough, your kids will be sitting around the house, playing video games and complaining that there is nothing to do. When boredom strikes, it’s time to rely on your creativity and find inexpensive ways to entertain your family. These simple ideas can help you get started. Your kids are probably dying to see the latest animated feature or Disney creation, but a night at the movies can cost a small fortune. Cut the cost and enjoy great movies during matinee hours. Matinee movies can be less than half the price of a nighttime feature so you will have plenty of money left over for snacks and popcorn. Second-run theaters are another great option for cash-strapped parents; they offer the same advantages as matinees, although they might have an older selection of films. Kids love animals, and the local zoo gives them a chance to see all of their favorites at once. Many zoos offer daily specials and money-saving admission packages during the summer season, giving you an opportunity to enjoy a day out for less than the cost of a movie. If the zoo allows it, you can save even more by bringing your own food and drink. Just pack your picnic basket or backpack and enjoy your own great food instead of wasting money on overpriced, unhealthy hot dogs and popcorn. Many national and state parks offer special free admission days so you can enjoy a day of fun without spending a cent. Just pack a lunch, grab some juice boxes. and enjoy the beauty of nature. National and state parks are also great venues for inexpensive vacations. All you need is a way to get there and a tent. You can spend the days hiking and fishing and the nights roasting marshmallows and telling ghost stories by the campfire. A day at the ballpark will certainly entertain the kids, but ticket prices for the pro teams could empty your wallet. Strike the right balance between cost and excitement by attending local amateur or high school sports instead. Attending a minor league baseball game is a great way to introduce your kids to the game, and there is nothing quite like the excitement of high school football. No matter which option you choose, you can enjoy a great night out for less than a couple of hot dogs at the pro ballpark. Libraries offer a wealth of free entertainment for kids to enjoy. From free video rentals to great books, there is plenty of value in your local library. Many libraries invite local children’s book authors to read their works and meet their young fans; just check their online calendar for details and plan accordingly. 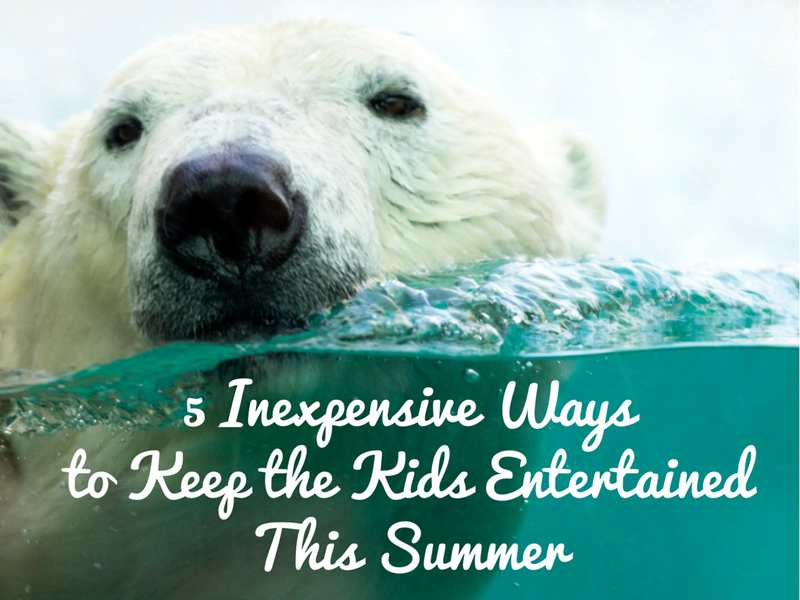 You do not have to spend a fortune to keep your kids entertained all summer long. There are plenty of fun, low-cost and free activities that will keep them enthralled until school reconvenes in the fall.